Sometimes the usual WordPress drop down navigation menu doesn’t quite work because the number of items is too long. You can use any of the popular mega menu plugins, but it’s quite simple to style a multi column or mega menu drop down navigation for Genesis themes using CSS. This tutorial is for the the newer Genesis themes with the accessible navigation menu. I’m using the latest Genesis Sample theme, but you’ll be able to use this tutorial on other themes too. 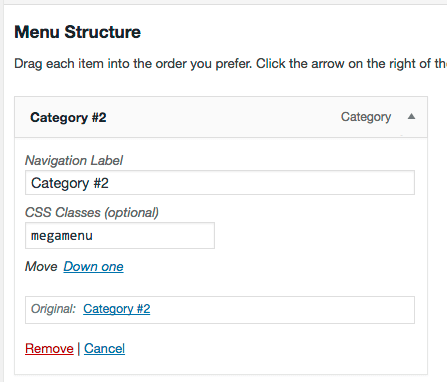 You’re going to use a CSS class to define which menu items will act as mega menu drop downs. This allows you to have some normal menu items and some mega menu items; it allows for flexibility. You’re going to limit the depth of the menu first by adding a function to your functions.php, and then you’ll add the CSS for the mega menu on large screens and smaller screens. You can decide on the number of columns you need for your menu items. Of course, you can always add additional color styles, as well. All of the code is on GitHub Gist. The first thing you want to do is limit the sub-menus to only one level. So you’ll have a total of two menu levels – the top level that’s visible and one sub-menu. We’re adding a depth of two for the primary menu. In the sample theme, the secondary menu is already limited to a depth of 1. You can skip this step if you’re the only one using your website, and you remember to limit your mega menu items to just two levels. Add the following to your functions.php. At the end is fine. Be sure to make a backup first, and use a text editor. // Reduce the primary navigation menu to two levels depth. You’re going to add a class to the menu items that you want to behave as mega menu items. From your WordPress dashboard, go to Appearance > Menus. Click on one of the top level menu items that you want to use as a mega menu. In the CSS Classes field*, add megamenu. *If you don’t see the CSS Classes on your menu items, click on Screen Options in the upper right hand corner of the Menu screen. Add a check to CSS Classes. You’re going to add some styles to your style.css file now. Use a text editor and be sure to save a backup first. You can adjust all these to make the sub-menus appear as you like. To the sub-menu selector, you want to use the same background-color as the selector – .genesis-nav-menu .sub-menu a. This will give it a uniform background, especially if your menu items don’t make even columns. A border around the entire sub-menu is optional. A height is needed for the drop down. The width can be whatever you need for your menu. You need a few extra px because there is space between the menu items. The “move” class is optional and discussed below. You can remove the border on sub-menu items. The width of each item is 1/3 (3 columns) or 1/2 (2 columns) the total width of the sub-menu, 600px + 10px for the tutorial. By default, the mega menu drops down directly below the top level menu item. This is great for menu items on the left, but for large menus, the drop downs for menu items on the right may be cut off. You can see the right-aligned position in the image below. You can add an additional class, so you can choose to shift only some of the sub-menus, maybe the last one or two items. You would just add – megamenu move – to the CSS Class field those menu items, instead of just – megamenu – under Appearance > Menus. Again you’re going to add some styles to your style.css file. Let me know how this tutorial works for you to add a mega menu to your Genesis Theme. This mega menu method won’t work for your theme then; it’s only for the newer Genesis themes. You may need to use a plugin instead for your menu to work. Thanks, I got it to work, Marcy. I’m using the Divine theme. I’m bookmarking this page because it’s so easy! Great to know which theme, Fran; I’m glad it worked! It worked beautifully, thank you Marcy. You saved me quite a bit of time. Does this mega menu work with monochrome pro? the mega menu should work fine with the Monochrome Pro theme. Go ahead and try it. I don’t have one set up to see, and it would depend on how you’ve added some other styles. The first one should work though.